1. 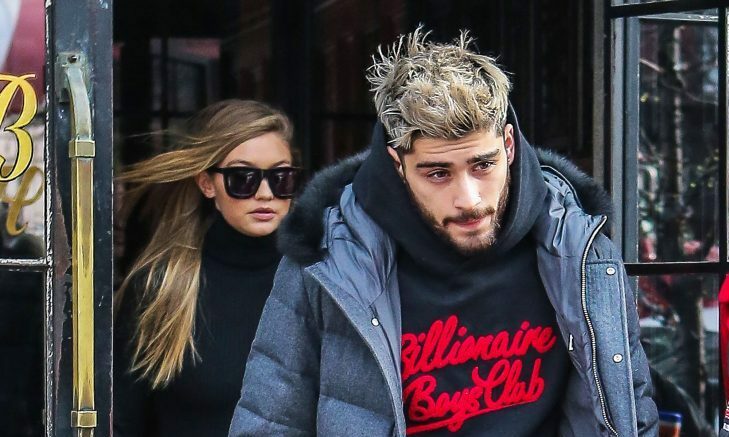 Gigi Hadid & Zayn Malik: The supermodel and the singer have been one of our favorite celebrity couples since they started dating. They first announced they were an official celebrity couple on Instagram, and they have been pretty picture perfect ever since. Gigi has been rockin’ the Victoria’s Secret runway, has a new fashion line with Tommy Hilfiger and even starred in Zayn’s ‘Pillow Talk’ music video! They were seen together publicly at The Met Ball and seem to be doing fantastic! 2. Emma Roberts & Christopher Hines: Emma Roberts has been working hard. She starred in James Franco’s Palo Alto and has appeared on TV in Scream Queens. The actress finds a lot of time to read novels as well. She started dating Christopher Hines recently this summer when the pretty pair were spotted in London together! 3. French Montana & Iggy Azalea: Rappers and hip-hop artists French Montana and Iggy Azalea are an official item! The two were spotted together on a fun-filled trip to Cabo San Lucas and have been an item ever since. We are hoping they will create some music together now! 4. Leonardo DiCaprio & Nina Agdal: Hollywood heartthrob, Leonardo DiCaprio, is one of the most talented actors in the industry. He’s no stranger to dating Victoria’s Secret angels, and now he’s dating a new one! Nina and Leo began dating this summer, and they have been vacationing all over the world ever since. The celebrity relationship that travels together, stays together! 5. Jojo Fletcher & Jordan Rodgers: Who doesn’t love watching The Bachelorette? Jojo and Jordan went public in August, appeared happy in love on Good Morning America, and the two love birds have been vacationing a lot! As they say on the show, these two definitely WILL accept the final rose! Who are your favorite celebrity couples to watch? Comment below!